Every other year the Offshore North Seas (ONS) exhibition is held in Stavanger in Norway and, together, they rank as the two most important events for the upstream oil and gas industry in western Europe. I receive a stack of invitations to attend conferences and exhibitions but only go to a few now. Virtually every day there is an e-mail promoting an event. The latest edition of one of the industry information services to which I subscribe has adverts for seven in the Republic of Congo, Kazakhstan, China and elsewhere. I wish I could attend more, but as an economist I am well aware of the opportunity cost of my time, so I have become increasingly selective. The best I attended recently was on the Libyan oil and gas industry, held in Rome, and attended by most key Libyan officials and politicians. It was an excellent opportunity to meet people who it would have been difficult to see in Libya itself – and this was before the troubles. 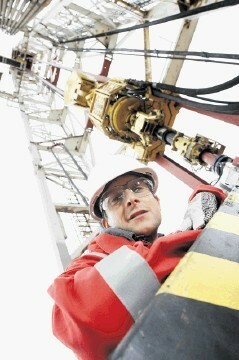 I always try to attend Offshore Europe, partly to meet old friends and get a better feel for how the industry is doing. I understand that record numbers of exhibitors and delegates are expected this year, which is perhaps surprising for a mature oil and gas province allegedly in decline. There can be no doubt that North Sea oil and gas production are declining – and at worrying rates. 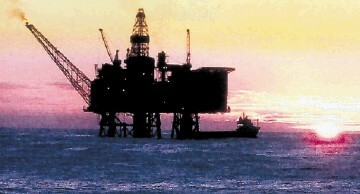 UK oil output peaked in 1999 and has fallen by more than half since then. Norwegian oil peaked in 2001 and is at about 60% of that level. UK gas production peaked in 2000 and has also fallen by more than half since then. However, Norwegian gas has more than doubled over the last decade and continues to rise. Dutch gas production has been much more stable and is about 20% higher than UK output. I believe there are two main reasons for the renewed popularity of Offshore Europe and ONS. Firstly, a surprising surge in development activity in Norwegian and UK waters; and, secondly, the increasing importance of exports. The latest annual survey of international activity in the oil and gas sector by SCDI and Scottish Enterprise shows total sales by the industry of just under £16billion, of which the domestic market accounted for 55% and international 45%. The latter share has increased substantially from 31% in 2002. The top five export markets in the last year were the US, Canada, Angola, Norway and Australia. The SCDI survey distinguishes between direct exports and sales via overseas subsidiaries. The top markets for direct exports were Angola, Norway, US and Nigeria. I believe many people underestimate the importance of the Norwegian market. There are various ways for the Scottish supply chain to increase exports, and participation in Offshore Europe and similar events is one of them. The record number of exhibitors this year indicates that the companies involved believe it to be worthwhile and cost effective. Secondly, there will be a big increase in development activity in UK and Norwegian waters over the next few years. UKCS capital expenditure has averaged about £6billion per year in recent years, and I expect that to rise to about £10billion until 2014 at least. Ongoing UK projects include Total’s £3billion development of the Laggan and Tormore gas fields; BP’s £3.5billion redevelopment of the Schiehallion and Loyal fields; new investment in the veteran Forties field; and the development of more than 20 smaller fields. Similarly, capex offshore Norway has exceeded £10billion in each of the last four years. The latest government report lists eight fields under development, including the massive Goliat field (£3billion) in the Barents Sea, and other discoveries are being fast-tracked by Statoil. I did an economic impact study earlier this year for the Aberdeen Exhibition and Conference Centre (AECC), which estimated that Offshore Europe 2009 contributed £35million to the local economy, plus about £40million in additional business for exhibitors. The impact this year will undoubtedly be even greater.